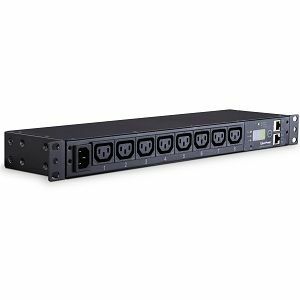 This 8-outlet (120V 15A)(12A UL) Rack PDU delivers a cost-effective power distribution solution for your server rack/cabinet. 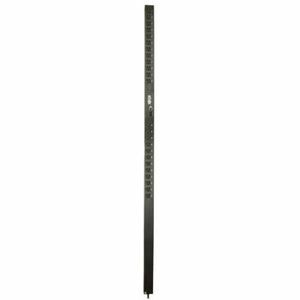 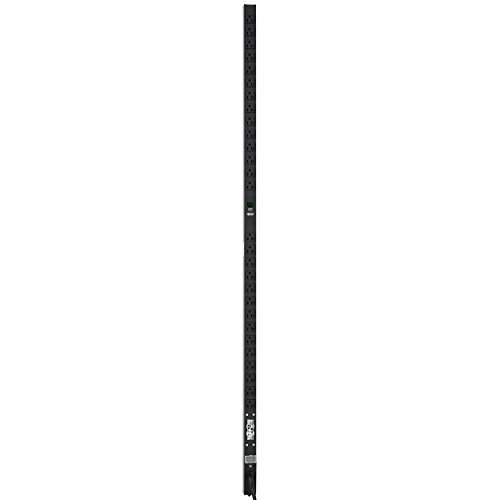 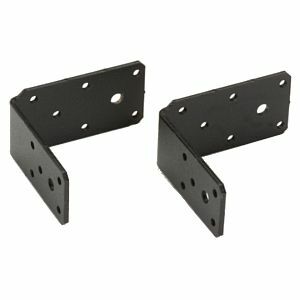 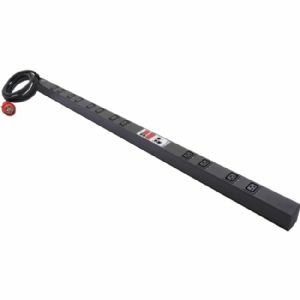 The 1U PDU can be mounted horizontally in any server rack 19" in depth or greater, to provide eight 120V 15A power ports/outlets, and features a rugged steel casing to ensure maximum durability. The front of the PDU features two LEDs to indicate proper ground and surge detection while enabling you to control the power state with an illuminated power/reset switch. 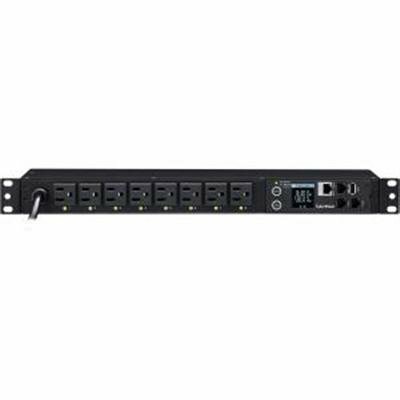 MULTIFUNCTION LCD SCREEN: Displays immediate, detailed information on PDU conditions, including: amperage, voltage, KW, IP Address, etc. 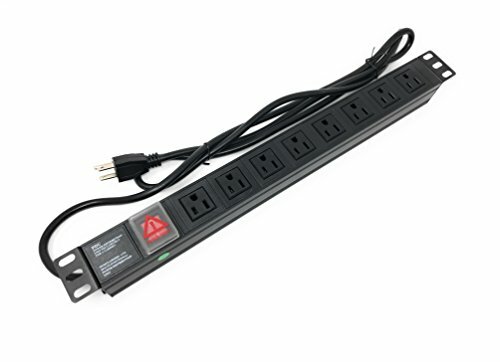 The CyberPower PDU41001, an 8-outlet (front), 1U rackmount switched power distribution unit (PDU), provides 120V 15A output. 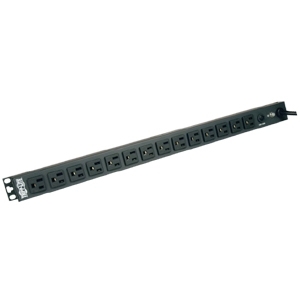 It distributes power to 8 NEMA 5-15R receptacles from a single NEMA 5-15P plug with unfiltered electrical pass-through. 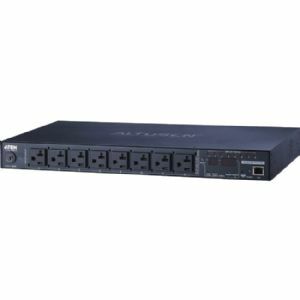 The switched outlet receptacles can be managed individually or collectively over the network, using the CyberPower Management Console, a web browser, and the RJ45 Ethernet port for network connection, or locally by using the LCD controls. 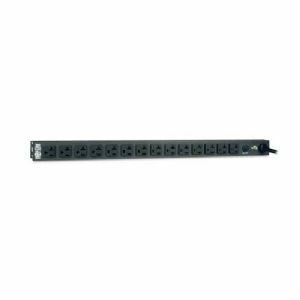 8-OUTLET PDU POWER STRIP: Network grade full metal rack-mount PDU power strip, and 8 right angle outlets with simple and elegant appearance. 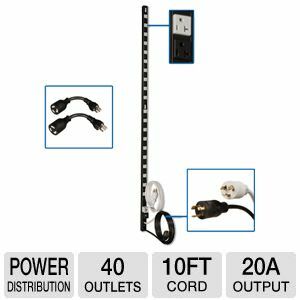 WIDE USAGE: The PDU power strip surge protector designed for rack enclosure, cabinet, work bench, wall mount, under counter and other mount-installation applications. 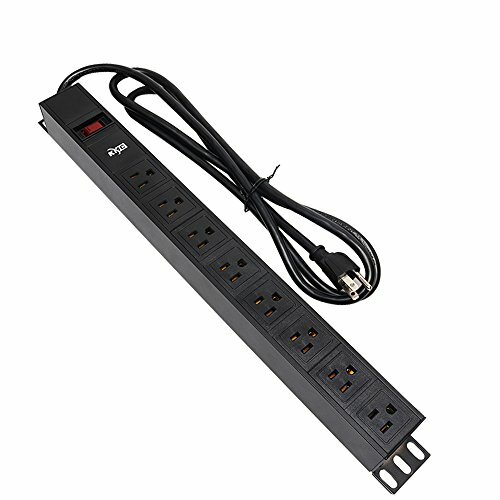 SAFETY: Covered ON/OFF switch, surge & lightning protection, reset button, the surge protector let the socket will not be damaged. 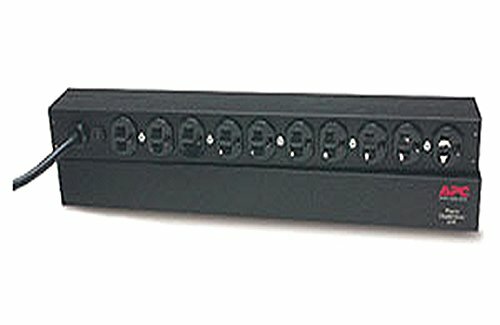 Switch Cover to prevent accidental shut down. 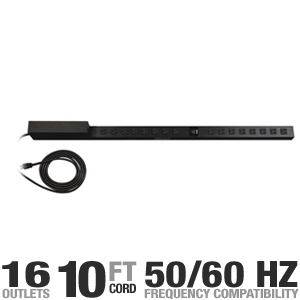 2 Meter (6.6 Foot) Cord. 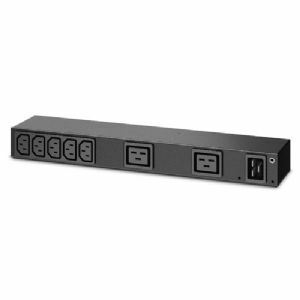 19" 1U Aluminum PDU with 8 outlets and 6.6 foot cord. 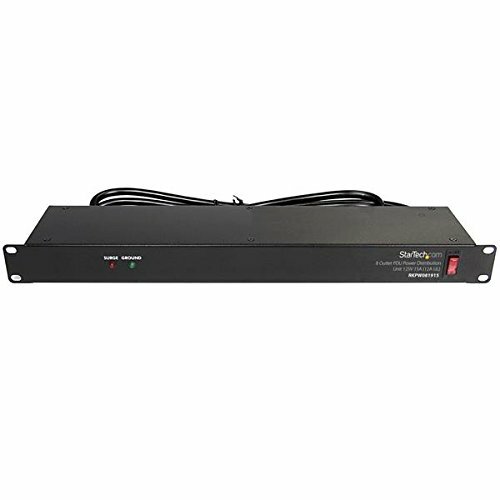 Sturdy design with Switch Cover to prevent accidental shut down. 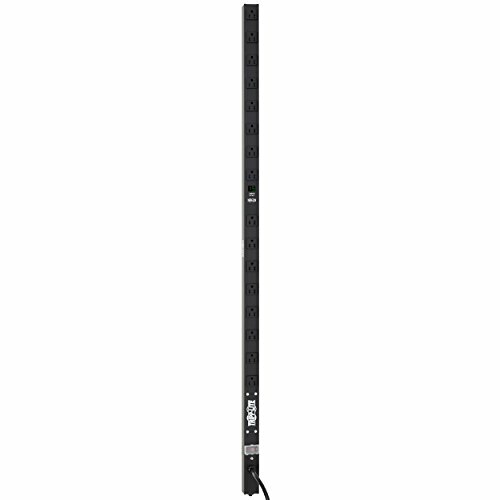 Hardware Included! 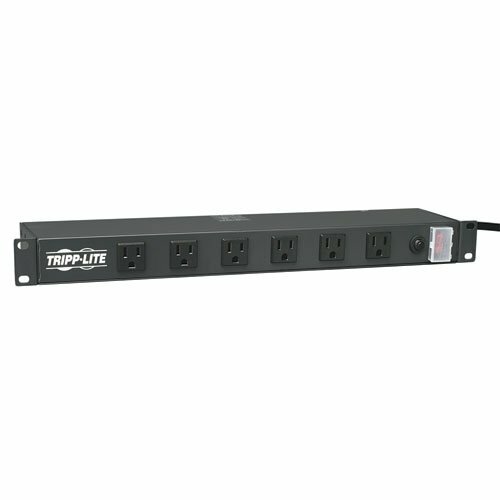 What Functionality Do I Need in a Power Distribution Unit?